Obituary for Naim Bady Shadid | Donaldson Funeral Home of Clarksville, P.A. On Wednesday, January 30, 2019, Surrounded by his loved ones, Naim B. Shadid went to be with his Saviour. Mr. Naim Shadid, son of Badi Shadid and Sheikha Ghattas, was born February 15,1948 in Daraa, Syria. He was united in holy matrimony to Nabila Farhan in January of 1980. The couple was blessed with five children. 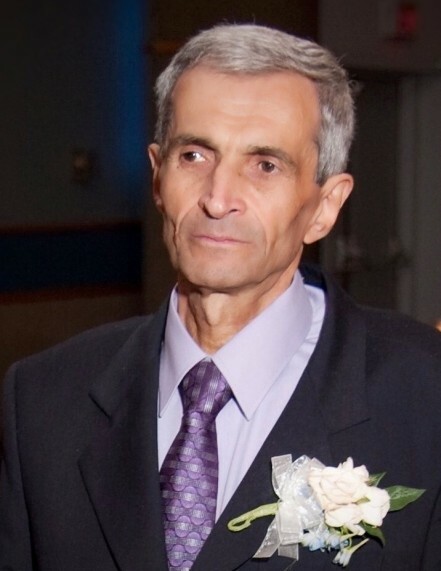 Mr. Naim Shadid was an active member of the Arabic Baptist Church of Washington D.C. Because of his generous spirit and a sociable personality, he was dear to many and a friend to all that needed a friend. His presence would light up any troubled heart., and he was sought out as a source of comfort and encouragement. His legacy will live on in the lives of his family and close friends. He is survived by his wife Nabila, children Dima Shadid (wife of Yousef Shadid) of Damascus, MD, Rima Shadid (wife of Maher Al Sawalha) of Dearborn Heights, MI, Haya Shadid, Shadi Shadid, and Fadi Shadid of Burtonsville MD, grandchildren Samantha Shadid, Abby Shadid, Joe Shadid of Damascus, MD, his siblings Mousa Shadid of Olney, MD, Naseem Shadid of Jacksonville, FL, Bassam Shadid of Silver Spring, MD, Anwar Shadid of Glen Burnie, MD, Mouna Shadid of Allentown, PA, Souad Shadid of Allentown, PA, Samia Shadid of Damascus, Syria, and Seham Shadid of Orlando FL.